Comic-Con is for amateurs. Here's a convention that will elevate your cosplay to catplay. 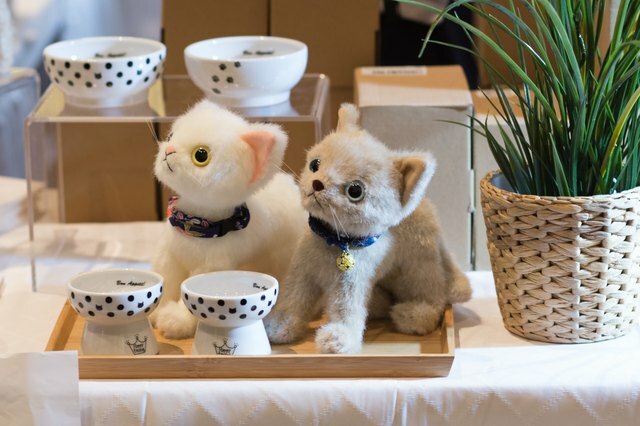 If you are a lover of our feline friends, you'll definitely want to check out the 4th annual CatCon later this summer in Pasadena, California. 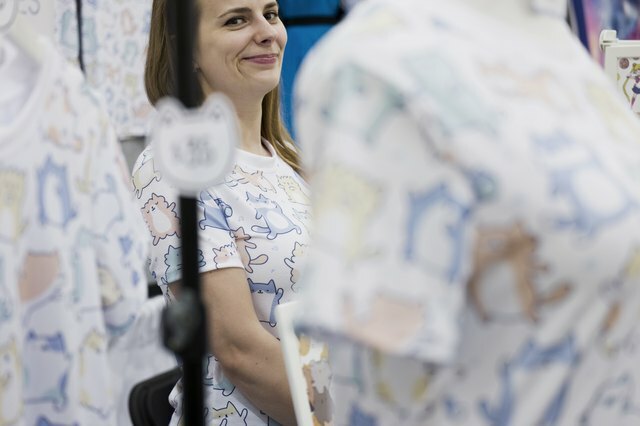 CatCon is the largest cat-centric, pop culture event in the world and has hosted nearly 45,000 attendees in the last three years. 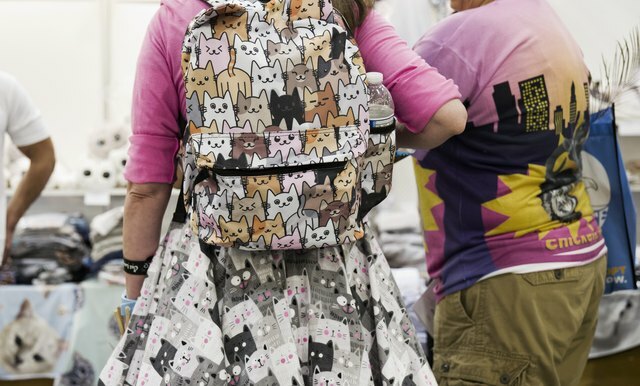 Founded in 2015 by Susan Michals, a former Los Angeles-based journalist in art and culture, CatCon promotes a strong mission to debunk the myth of "the cat lady," letting kitty lovers know they can be stylish and cool while also owning a cat! 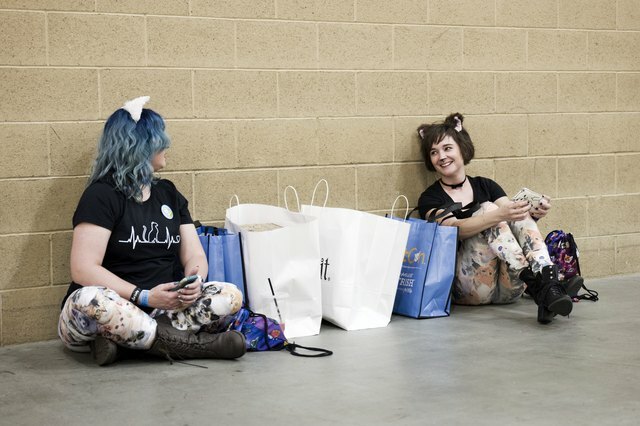 In an interview with Cuteness, Michals explains, "I created CatCon as a platform for the feline community to come together in a variety of different ways in real life, in one place over one weekend." 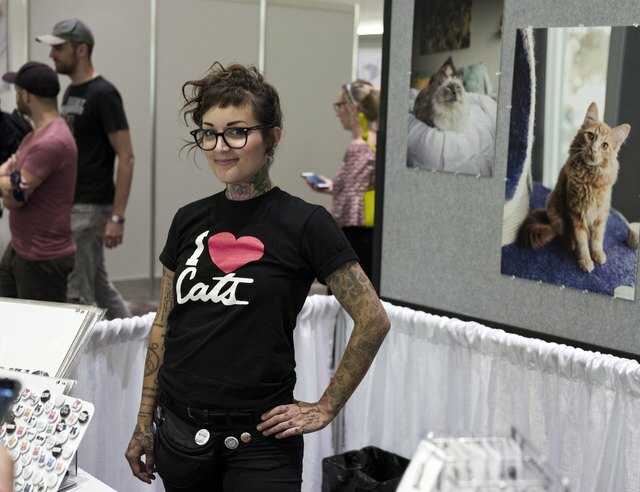 CatCon aims to inform, educate and entertain on all things feline. 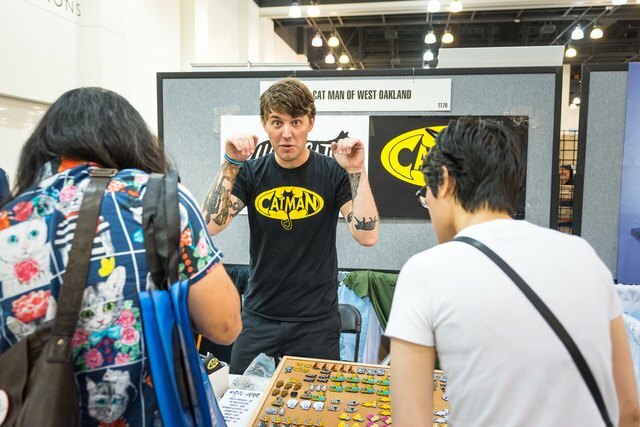 Michals describes the annual convention as a "combo platter of curated exhibitors, amazing activations and experiences, like DIY stations, photo booths, pop culture cosplay, and of course, adoption!" How to buy tickets for CatCon 2018. 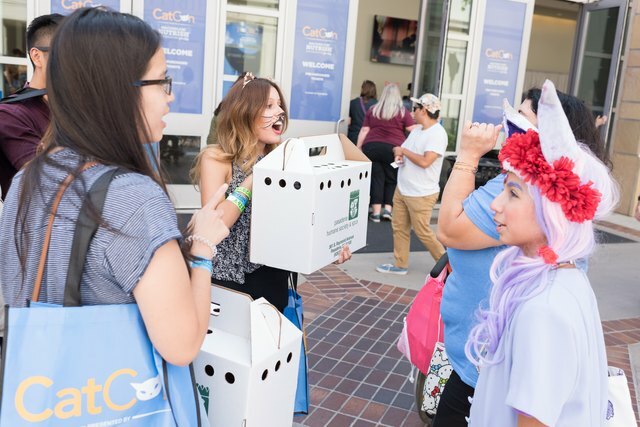 CatCon will take place at the Pasadena Convention Center for two days, August 4-5. Tickets are $35 for adults and $15 for children. Children 5 and under are more than welcome and get in free! 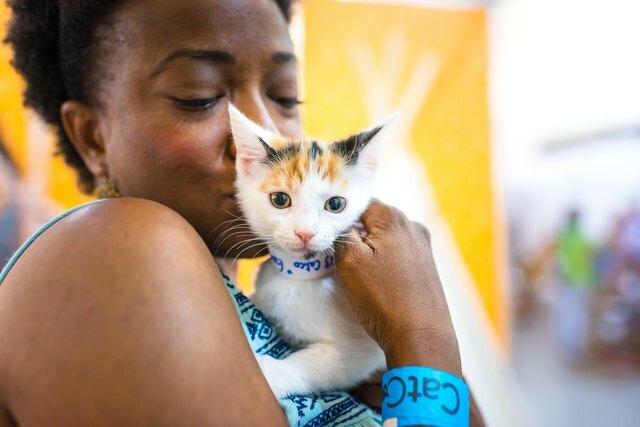 Once you've _purr_chased your general admissions ticket, you will have access to the Exhibit Floor, Adoption Village, seminars, and workshops — but get there early because these events are first-come, first-served. You can also purchase Meet & Greet tickets ($25-$100) with your favorite cat-loving celebrities and some awesome celebricats! You can get your paws on tickets here. Tickets are non-refundable, but who would change their mind about CatCon?! There are no cats allowed at CatCon. If you're thinking CatCon is the perfect place for your own cute kitty, we're sorry to tell you cats are NOT allowed at the convention. A new environment filled with strangers (both human and feline) is probably not the best place for your cat. But don't worry, if you're looking to add to your pet family, there will be dozens of kitties in need of adoption! What to expect at 2018 CatCon? Seminars like Men and Cats: A Love Story and Fostering 101: Everything You Wanted To Know But Were Afraid To Ask. where contestants don their best "kitty cosplay." ensembles for a chance to get onstage and walk the catwalk. Judges include Julia Butters. from "American Housewife" and Moshow the Cat Rapper, who will also Purrform! The CatCon Adoption Lounge, co-sponsored by 9Lives® Cat Food and World's Best Cat Litter™. The CatCon Awareness Pavilion devoted to cat health issues and awareness. Workshops on DIY projects, health and wellness, and more! A special surprise art experience! Thousands of kitty lovers that share your cravings for all things cat! CatCon exhibitors we're excited to see. 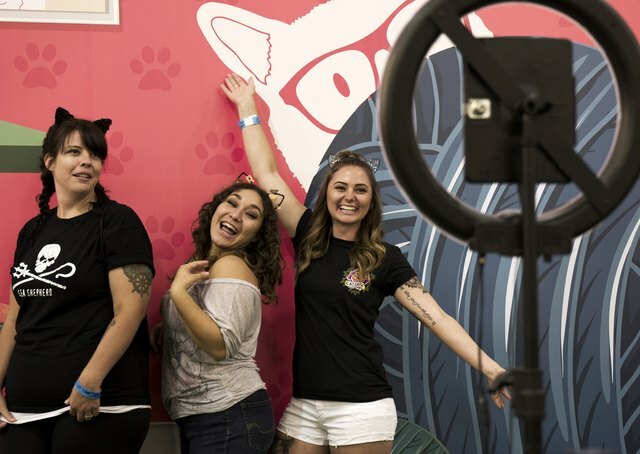 CatCon 2018 will include over 160 exhibitors, all bringing unique merchandise and innovative ideas to the table that you won't find anywhere else. Check out returning favorites like Miss Happy Pink and brand new exhibitors like Primetime Petz. CatCon offers endless fun but here are some specific exhibitors you do NOT want to miss at this year's convention! This CatCon favorite provides adorable crocheted trinkets that will make you and your cat purr. These products come from the moody cat Marcy who doesn't have time for your nonsense. Jessica Louise is a Los Angeles based fashion designer (an another CatCon Favorite) who promotes functional but fancy designs perfect for the new-age, unconventional "cat lady." It doesn't have to be your fur baby's birthday to spoil her with these cat toys that provide endless fun. Check out Bouncy Tails at their very first CatCon appearance! Also making their CatCon debut is The Pattern Farm. Bet you didn't know you needed cat wallpaper in your life. You're welcome. That's right! 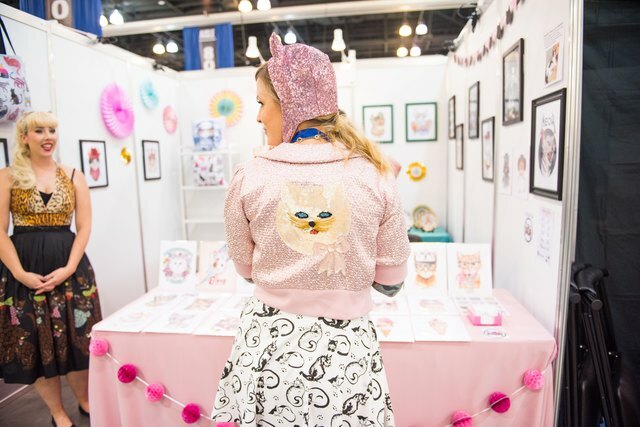 Cuteness will be at CatCon this year presenting a DIY craftspace. We hope to see you there! Celebrities and celebricats join in the fun! Like all great conventions, CatCon comes with star power. There will be tons of internet and IRL celebs, both cat and cat-loving humans, available for meet and greets! Yes, really. He raps about cats. You have officially found your tribe. Julia Butters plays the role of Anna-Kat Otto, the youngest member of the Otto clan, on the hilarious ABC sitcom American Housewife. Gwen Cooper is a New York Times Best Selling author whose memoirs about her life with cats have entertained readers across the country. Don't forget to check out some rising celebricat stars like Sir Thomas Trueheart, Merlin Ragdoll, and Waverly McTinybeans! 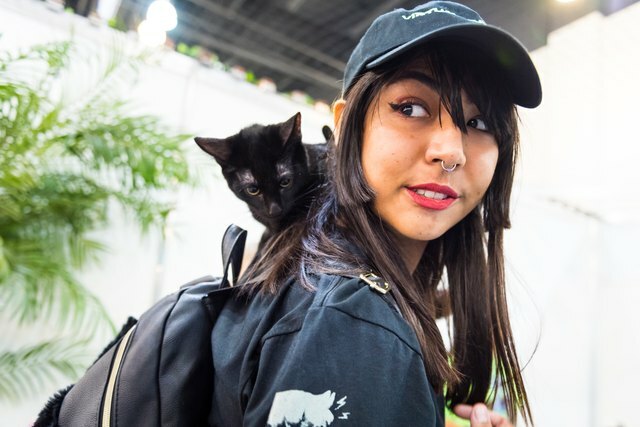 CatCon is all about creating homes and giving back. The exhibits and celebs at CatCon can't be beat. But, this convention is all about giving back to the cat community and creating homes for kitties (and humans) in need. Michals told us, "To date, we've gotten 327 cats and kittens adopted, and donated $140,000 to charities like Kitten Rescue, FixNation, Milo's Sanctuary, and the Ian Somerhalder Foundation." CatCon is a wonderful opportunity for cat lovers to unite, support their community and who knows, maybe go home with a new fuzzy friend. Are you ready for CatCon 2018? We combed through the CatCon archives to create this video showcasing some of the best of the event from the past three years! Look for Lil Bub, @Nala Cat, @Ian Somerhalder and Iammoshow, as well as many happy kitty cats! Tickets on sale now at www.catconworldwide.com.